The eldest Kardashian sibling's signature lunch has a lot of people shaking their heads. On Tuesday morning, Kourtney Kardashian launched Poosh, her new lifestyle blog that features beauty tips, home decorating ideas and plenty of recipes. Between her coverage of non-toxic toys and organic bedroom sheets, the mother of three shared her self-proclaimed “signature salad.” The eldest Kardashian sibling is known for keeping a relatively strict food regime (she's gluten-free and generally stays away from anything processed) but a seemingly harmless post has ignited a fierce debate centered around one crucial question: What is a salad anyway? Kourtney first posted about her salad in 2016 and, at the time, said it's something she makes for herself "pretty much every day." Fast forward a few years, and it looks like she's still a fan of the lettuce-less mix. “Kourt’s Signature Salad” consists of half an avocado, two hard-boiled eggs, a tomato, balls of fresh mozzarella, salt, pepper and olive oil. That's it. No herbs, no extra spices, no special dressing, no kale ... no flavor? Kourtney calls her signature dish a total “win” because it takes less than 15 minutes to mix up. Plus, the simple combination of five key ingredients makes “for a healthy and filling dish." Sometimes, notes Poosh, Kourtney skips the cheese when she decides that she wants to be dairy-free for the day. The hard-boiled egg, tomato and avocado are all found in another hearty salad: the Cobb salad. But that popular dish includes flavorful proteins and some type of dressing. The Kardashian Kritics have since pounced — hard — on this "recipe" with many decrying it as "sad." Regardless of the online reactions, chef instructors Frank Proto and Barb Rich of the Institute of Culinary Education (ICE) in New York City are standing by the busy blogging mom. Proto added, “It’s a stretch but technically this is a salad, although the mainstream may not classify it as one because there are no greens incorporated." 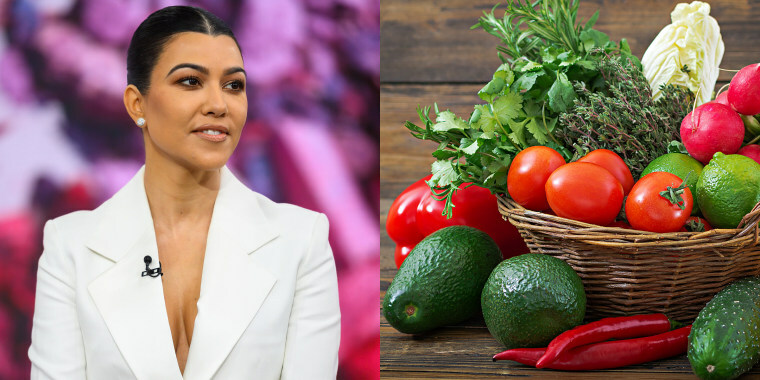 Technically “Kourt’s Signature Salad” doesn't even contain any vegetables — avocado and tomato are both scientifically classified as fruits (though there is still plenty of debate around that definition) — but that's apparently OK because ICE chef Palak Patel told TODAY that a “salad is anything that has texture and a raw component." This broad definition of “salad” may not be that bad, however. Soon we’ll be eating waffle salads, french fry salads and perhaps even cupcake salads, too.